Learn how to mix drinks without getting drunk! 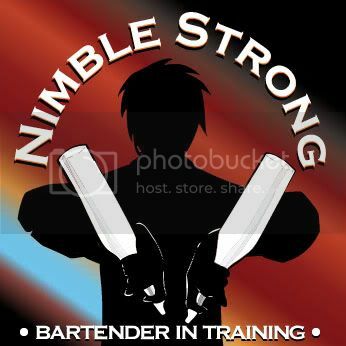 Nimble Strong boasts itself as the world’s first story driven, drink-mixing video game. It got a lot of talents behind it, including Kyle Hebert. The art is impressively drawn, as well. The game play is fun and interesting. Here is a video from the website of Nimble Strong showing a quick play of Act I. Note that you will have to time your screen touches to control the amount of ingredients that you will be adding. Also, in later levels, you will have to shake the phone itself to shake the drinks. While I do not have a means to play this yet, I think that there is great potential in this game. The faster you finish each order, you get a chance to get higher tips. You can also have a printable certificate once you complete the game. How about that, eh? Certified Virtual Bartender… or something. For more information, visit the website Nimble Strong.